You’re basically giving them the notion that you’re old, you need help hang this. Oh, you need a watch, you need a wearable, so every solution out in the market is sticking something on people and they have to act on it. When somebody’s fallen, they have to remember to press this button. Right, and we thought that’s not the way to go. How do you live your life like the way you live normally. Hello. Hello. Hello and welcome to episode podcast, the first podcast finding upside outside of Silicon Valley. I’m Eric Hornung and I’m accompanied by my cohost, Mr. Blue podcast. Sweet himself, Jay Clouse. Jay. How’s it going? You’re really given some sultry tones into this, this xlr. Really embracing the Xlr here. Yeah, I’m getting into it. I’m in your ears. Yeah, you were in there. We are in the blue studio podcasting suite hear at ces. Eric and I are at ces this week as broadcast media partners with the event. It’s pretty exciting. It’s pretty fun. We are talking to a lot of really cool companies. We’re seeing a lot of really cool things, but right now we are sitting in a suite by blue microphones and we are on some equipment that is above and beyond anything we use. Yeah. Longtime listeners of the show, you’ve probably noticed that our production quality has gotten better over the last several months, but we’ve been using the same equipment. We’ve just gotten better at the process and equipment we use is a yeti microphone. Both Eric and I have been using the standard sort of entry level Yeti microphone since the beginning of the podcast. I just got a Yeti blackout microphone, which I really enjoy to be honest. Yeah, and I don’t functionally. Is there a difference? It makes me feel cooler. Tyler, over there. Audio engineer functioning difference between the blackout and the regular. Didn’t think so. So it’s Kinda like the holographic microphone. I don’t understand that relation, but sure. You didn’t collect pokemon cards grownup. it’s like the holographic Charizard equivalent of the Yeti microphones. Okay. Yeah. Yeah. That’s probably fair because it matches my boom, so my whole setup looks sick. It does look better. It does look better. I look, I see Eric on skype. He’s got the pop filter now, so I can’t quite see his whole face, which mostly I appreciate, but also sometimes it’s harder to see when he’s about to say something. We’re learning. We’re learning here. That’s true. You could say we’re getting older and we’re aging as a podcast. Could you say that Jay? You could say we’re aging as a podcast. I wouldn’t say we’re seniors yet, but that brings up today’s guest Care Alert. Care Alert is a device that looks after the well being of seniors living independently. It allows caregivers to contact seniors via voice using an APP. Care alert contains no camera. So this tool, which we’re talking about today, is a an in home device that allows the children of seniors to maintain care and visibility in the lives of their parents in a lot of cases, but elders without invasively using cameras or forcing them into assisted living facilities. Yeah. It’s for the, I think it’s called the sandwich generation. That’s when you have to take care of both of your parents and your children. Have you ever heard that term before? So it’s. It’s happening to my parents right now. It’s happening to my girlfriend’s parents. I think it’s happening to a lot of people our age and a little bit younger where their parents are kind of hitting that eighties to nineties and they’re like, okay, I have to take care of this, but I also have to take care of my family life. So you’re just kind of like spread very thin and I think that this is a potential solution for that. a little bit different than the typical founder. We have an upside. Seems older. Seems a little more experienced. Yeah. I feel like that’s a theme actually here at ces for a lot of the companies that just in our brief time here we’ve walked around. It does seem like a bit of a more seasoned crowd. I guess I would say fewer consumer, you know, snapchat ask apps and a lot more hardware, more capital intensive businesses here at ces. We’ve seen so far and on end and his cofounder Fraden seem to fall into that category. Yeah. I had to agree. Couple more things. Care alert founded in 2016 based in Atlanta, Georgia or second Atlanta Company and to this point they’ve been self funded. They have not raised any capital at this point, which I think is also speaking to the fact that they’re more of a seasoned team and they’ve done this before. They have the ability to get things started before they go down the capital raise path. Yeah, absolutely. And I think that’s something that we’ll talk about in the interview and hopefully look at a little more in the deal memo. Alright. So we’re gonna jump into the interview here with Anand . So if you guys have any thoughts as we’re going through this episode in the interview or the deal memo, be sure to tweet at us @upsidefm or send us an email. Hello@upside.FM. Anand, welcome to the show. We’re excited to have you here. We’re excited to be here at ces. We’re looking out over Eureka Park and it is pretty cool, but we like to start upside and we like to start every show with a history of the founders. So can you tell us about the history of Anand? Sure. So I grew up in India, grew up in a very entrepreneurial family. My Dad had several businesses. The most successful was his manufacturing business or you know, at one point he had several thousand employees, lots of ups and downs, uh, learned a lot. So I used to spend a lot of time in his business as a child. I started programming when I was in eighth grade. I built his first invoicing system. And so my interest in programming in technology started back then. So in eighth grade you were programming in invoicing system for a manufacturing company that had thousands of employees? Somewhere in 88. Yeah. I don’t know. That’s crazy. I think in eighth grade I was like, I dunno what was I doing? What were you doing in eighth grade Jay? In eighth grade? I was trying really hard to figure out how to talk to women girls. Really? You’re still doing that? take me back to that time when you were, when you have clients, how does that evolve? So you’re at IBM, all of a sudden you have clients that you’re helping. Is that a side project? Is it a side consulting gigs? So through the course of IBM obviously had a lot of network that I built out. Some of those people quit to start these companies and then they called me back to say, hey, is this something that you want to help us with? And then eventually I figured that it’s a good time to transition and go out on my own. That’s when I left IBM and I said, look, if I don’t do it now, I’ll possibly regretted if I do it, you know, 10 years from now. So it’s better. I take that risk now. So I jumped into it five years ago and never been happier. That timeline. When about, was that? That was a, that was in 2015. You might’ve said this, I might’ve missed it. When did you come to the United States? From India. So I came to the United States in 98. So I came here through an IBM partner for a client I was supposed to be here for two weeks and here we are, and then one of the IBM business partners said that, look, I don’t think you need to go back, I want you here. And I ended up here, like I said, it was supposed to be, you know, my external gig for working for other companies were supposed to be a period of time learning how things are done in the modern world, not through the processes that my dad had put together. So that’s, you know, and then 18 years later, here we are. Was there ever an expectation from your family that you’d come back to India and take over what your dad had started? Not really. Right. So the advice that I always got from both my dad and my, you know, again, I look up to my dad and my grandparents have always told me you have to do what is right for you in the context of the time you are in. Right? So at the time when my, when our family business started that that was the right thing for him to do, so I had all the freedom to do it. So there was no expectations other than do well. that’s great. So when you went out on your own and started doing consulting, is that sensors call or was that a separate company? That was another company called think bridge. So we did mostly management consulting with a technology bias. So we wanted to be the Mckinsey for small companies. I worked with a lot of Mckinsey colleagues, so took some of those ideas and build a smaller, more affordable Mckinsey for small businesses. I had this market that was very clear. It was 2 million and above was my market target market and they needed to have a scalable business model. Right. That I would invest time in and almost every one of my clients I ended up with a noncash component, which was the equity in the company. Right. So I said, look, if I’m going to be going into this with you, if it’s a very transactional relationship, which is, hey, here’s 12 hours, pay me for it, you know, that’s all I put into it. So if I really like what you’re doing and I want to be a part of it for longterm, then I want to be part, you know, deeply embedded in it. That’s why every one of my clients that I acquired back in late 2014, 2015 timeframe are still with me and I’m sure they’ll, you know, they’re still. Have you. What was your, what was Your Business Development Strategy for that? How did you meet those clients? right? Uh, if you don’t show your value and if you don’t believe in true value creation, you don’t know, people won’t see it. So when we put a technology solution in, we always look at it from a, you know, what’s the return you’re getting out of it? And we quantified, right. I’m a big proponent of the Okr methodology, if you’ve heard of it, right? The objectives and key results, so I use that all the time. So because something that’s qualitative and then something that’s quantitative. So that’s the model I’ve used. How many clients did you have in the period when you started Think bridge until the time sensors call became your new kind of crime? seven clients. So you kind of had like a mini venture portfolio almost if you had equity most. Actually I do, yes. So, um, most of our, the two industries that really, you know, I, I love as an industry vertical is energy and a staffing and recruiting, right? Basically talent acquisition. So in talent acquisition we ended up with a company called Java docs are pretty creative. They were creating a voice component for their resume, right? So you can actually send automated interviews. So we basically, I told him, Hey, you know what, I’ll build this for you. I have people who can build it. So I got the product built and I have stake in the company and uh, you know, it’s, it’s growing and we’re are getting, you know, dominant franchise, Nissan, a lot of large clients like that. And so that’s growing. So like that in every one of our, you know, there’s another company out of Los Angeles which is one of the largest recruitment process outsourcing companies. We built our entire platform, we own a good portion of the Ip and we’re, we, we overlaid their thought leadership onto the platform, so we kind of call on that. So there’s a lot of opportunities like that that we’ve built over a period of time. We have an energy billing platform that we’ve once taken that does retail energy billing. So yeah, so we kind of have a, you’re right, it’s sort of a mini enterprises that we own and we are fully vested in it because it’s not transactional. Right? So are you still pursuing think bridge or the bridge kind of this legacy asset that may yield some dividends in the future? Each one of these individual entities has a owner slash corner that runs that entity. So the bill utility billing software is run by my business partner and Co cofounder and colleague who I went to school with in back home in India and then the other businesses are being run by people who we hired and they’ve been with us for several years. They are running those things for us and I’m involved at a high level, make sure everything looks okay and I’m still every quarter we have quarterly strategy sessions that I run with those clients and I still do those things. So you want transition to sensors call? Yeah, I’d like to hear about that. How did, first of all, what is sensors call, which is the parent company of care alert, which we’ll be talking about today. Sesors call is a. It came about as a way to use sensor technology to identify events and analyze and act on events based on the data that’s coming from sensors. Right. So when my cofounder and I were looking at it initially along with our other co founders, we were looking at water flow monitors, right? Flow measuring waterflow. Then we looked at, you know, measuring air quality and then we ended up talking about, okay, yeah, we measure all these things, but unless somebody acts on it, it’s not going to do much. We’re just going to be pumping more data at people’s faces. Here’s a fancy dashboard, here’s a, you know, there’s a lot of people doing it and then one day freedom called me after he had this crazy experience trying to get ahold of his mother in law and he could not so very simple problem, which is, and she didn’t want to answer the phone. He had previously installed cameras in her house in which she didn’t like, you know, and then you know, it’s, it’s almost bothersome for you to keep calling them saying, are you okay? Are you okay? And it’s like, yeah, I’m okay, right. Why are we bothering me? And he said, look, I think I found the market right, that, these, this whole concept of using sensors without being intrusive and take technology away from people instead of sticking it in their face all the time. So it sounds like you, you guys identified a technology capability with the sensors and what you could pull in and analyze and people could act on it, but you’re looking for a use case, right? And at this point for a dune had this experience with his mother in law and said, you know, here’s the use case, let’s go after that. And so Care alert became a branded product around that. before we dive into the product. So I think it’s where we’re going next. Yeah. Yeah. Closer to Jay’s, like Jay’s like sneaking up on them. He loves his product. Questions. Before we dive into that, you mentioned more use cases. Why sensors? Why is that the place to start for you? Yeah. So if you look at technology as itself, right? There’s a lot of places where technology makes you do a lot of work, right? What did you just do? for those at home and is pointing to our podcasting setup here with the focus right recorder, which is all new equipment to me and he watched me learn it for the first. Right. And, and if you see, they give you a new watch and then you got to fumble through it and yeah, you talk about user experiences, how do you take those technologies and make it useful in your daily lives without having to wrestle with it. Right. And I’ve seen this throughout my career, right? We stick a software product and the users just don’t need it and we still forced them to use it, right? Yeah. You need a watch, you need a phone, you need a television, you need a apple tv, you need a Roku box, like for what? Right? So we looked at sensors and said, look, sensors are unique, ubiquitous things that’s going to be all over the place. How do you place them appropriately to get what you need and accomplish very basic things that you’re struggling with. How do you solve real basic problems? I’m not trying to solve world hunger, right? Trying to solve a simple problem in a segment of the market that is growing at 10,000 seniors a day and then as they age there’s abnormal things happening that people move their parents from their home where they’re comfortable into assisted living facility simply because the kids are not comfortable with their parents living on their own. They’re very well capable of so we thought if you take sensors and other than you physic shot of you physically being there and being convinced that everything looks good, sensors can replace that. That’s why we started with sensors as the way to go. I think about the commercial that I saw so many times growing up of life alert, I’ve fallen and I can’t get up. Right, exactly right, and this is sort of like a much smarter evolution and holistic view into the life of of your mom and your dad. I wouldn’t. I wouldn’t call it moderate because it’s a very simple solution because the problem is if you look at people you stick at, give them catalogs, you’re basically giving them the notion that you’re old, you need help, hang this. Oh, you need to watch, you need a wearable. So every solution out in the market is sticking something on people and they have to act on it when somebody’s fallen, they have to remember to press this button. Right? And we thought that’s not the way to go. How do you live your life like the way you live normally and how do you do that? Right? That’s, that’s. And then if you look at it, the other thing we put in the product or took out of the product is cameras. Every solution out there has a camera that keeps watching you. Right? And, and to older people, you know, privacy is, it’s an aspect of their dignity that you’re taking it. Right? And that’s what anybody. I mean, nobody likes cameras watching you all the time. I read the on the sensors call website, there’s a story about how uh, your co founder Fereydoun had this experience with his mother in law and it mentioned the cameras, the initial iteration of the cameras and how that, anyone who’s read the book, 1984 would see why that’s a problem. Can you, even though it’s anecdotal in this case, can you talk more about her response to the cameras, effort of this and what that meant to her to be watched? So it’s, it’s classic, right? That’s one use case. We’ve had many use cases that I’ve interviewed my wife’s uncle who lives, you know, who’s about the same age group. Everybody has the common thing that when I have a camera looking at me, I feel like I’m not myself. I, I just feel very conscious of everything I’m doing just kicking my leg and putting on top of my, you know, my Ottoman is, is like, okay, somebody watching me. Right. Even though that’s not the intention, that’s what happens. Right. And so the reaction was, I don’t like it, you know, I don’t want the camera. I’d rather be unsafe than have a camera in my house, right? You put the camera outside for people you know, so I can know who’s coming in because they are unwanted people. We never went ourselves watched. We want to watch everybody else. but we don’t want ourselves to be watched. Right. So that’s. And of course that’s the whole facebook mindset that I want to keep moving into what people think it’s, it’s. So that was the reaction basically. I, I don’t want to just take it out. right? So what it does is there are different data points in your living conditions that are available, right? And if you have a way to collect that and assess it and analyze it, you will be able to conclude on the events that are happening around you. For example, if you’re sitting here and you’re hearing the noise, your brain can tell you that, look, it looks like this person is sitting in a hall that is big enough with some chatter in the back and the temperature is sort of cold. So I probably need something to wear. So you all these interpretive actions that your brain takes. We have tried to embed into the Care Alert product. So what it does is it measures eight different parameters from temperature, humidity, air quality, motion to sound, to all of that, right? So it measures those eight different parameters. And we, you know, if you asked me why did I come up with eight, those were the sensors we thought made the most sense that we could pack into a simple product that vanishes into the house. And was that set of eight? Was that the MVP first version of care alert? That’s right. I mean, again, my, my mvp is not the minimum viable product is the most valuable product, right? A minimum viable product is pretty much useless in my lane, but. But yeah, so that’s how I look at it. But yes, it’s, it’s, it’s valuable enough over a period of time I can make this device using over the air software updates in two years. My device will be a lot more smarter than it was on the day I installed it with those eight sensors. Right. And so I, we collect data from those eight sensors, use a cascading set of algorithms that put the data together. So I stopped with the motion sensor, detect motion, now I detected motion for someone going into a room. Now how do I know they’re still in the room that they jump out of the window or what happened? I detect presence in the room by adding my air quality sensor on top of it because the air quality varies dramatically when a person is in the room. So I put data together and say, you know, the person entered the room, they’re in the room and they stayed in the room for x amount of time. Oh by the way, the wind to the bathroom by the way, they flush the toilet, right? So I can figure all of these things out just without a camera. Just by measuring these sensory things that is happening around everybody. And how is it that shown then to the user, the customer, the the son, daughter, grandson, granddaughter. Are they getting constant updates or they just given alerts? there may be people who are geeks like that, right? But nobody cared things about how electricity shows up in your house and what’s my energy consumption and nobody cares. I need my light on. Please turn it on. So that’s basically the concept behind it. Right? So we came up with this idea of no news is good news, right? So the care takers know that, look, I haven’t received any notification so my mom’s going about our daily work or my dad’s, you know, doing whatever he’s supposed to do. If the system detects any anomalies or breakages in the pattern. Right? So for example, your mom usually goes to sleep at nine in the evening and wakes up at 6:45 on that and then on that day and maybe wakes up once at night to go to the bathroom one night she goes to the bathroom five times. And because the reason is we can detect flushes. So we have a, we have a microphone but it doesn’t record why is it record sounds. And we run it through a sound classification algorithm that can tell what sound it is. So flushing is something that we have refined really well and we can tell flush, we can tell shower based on sound and humidity together because the humidity in the bathroom goes up only when there’s an anomaly or a breakage in the pattern that says look, your mom woke up like five times, you might want to ask her what’s going on? And then we said how do you make it even more easy? So we said let’s put a speaker and let’s make it an intercom where the caretaker can go to the APP, click and say mom, is everything okay? So what happens is you only. So the, the whole notion of identify and act on it without being intrusive or being bugged all the time. I hit notifications on my phone. So that’s what it is. That’s how we came about. And so these are pretty high stakes anomalies, right? So anytime there’s anomaly, you’re probably sending some sort of communication to the caretaker. Is that a push notification? Is that text message? Yes. So it is, it is a push notification and they can also look at it on the APP and get a full, you know, feed of what’s going on. Depends on what. So now instead of calling their mom and dropping it on their mom every day they obsessively look at like facebook feed. They obsessively scroll through their feed and say, oh my mom woke up, they woke up into the kitchen and things like that. So it happens through all those mediums. But the threshold of how often and how sensitive it will be like. So for the first seven to eight days when you install the system, it’s still learning. So it freaks out at everything, right? Over a period of time it tones down and it measures and learns and says, look, these seem like normal patterns. I don’t have to freak out. Right? And that’s why we are not positioning it as a medical device. We are positioning it as a wellbeing monitor that says, look, did your mom go out today? Okay, for the last five days you never stepped out of the house. You know, social interaction is a big indicator of quality of life, not diet not exercise for anybody over 60 social interaction, you know. So basically that’s, that’s we try to notify the less intrusive or obtrusive we are. That’s, that’s our goal. No, no, no. So yeah, so what we do is we, we, we want to use triangulation techniques and we want to increase our learning ability and the probability of it predicting the right event occurring. So we typically recommend putting at least two, which is one in the bedroom and one in the bathroom where most of the events, most of the anomalies occur there. Right. What we have come up with so far is for a 2000 square foot unit or a house, you need about three. One is in the bedroom, one is in the bathroom and one is in the living area where they are go about their lives, right? And then we collect all of these three talk to each other and it basically knows that you went from the living room to the bedroom at this time because it sends motion from one to another. So it’s like, you know, multiple things, looking at it and taking care of you. Basically. How long have you guys been in market with this? So we’re not, we’re not in [inaudible] , so we started this two years ago, so. And then we’d been experimenting, Refining, refining, refining. We’ve put about 25 units in different places. We are learning, refining our algorithms. Our software platform is ready, our APP is ready. Our first batch of hundred is going to come out and first of first week of February. It’s going to go out into the market. And then our production ramp up is 100 and 500, and then a thousand and then 10,000. And it’s going to go on throughout this year we’re going to be pushing. We have an initial set of Beta users who have signed up. You know that that’s where we are. We are not in market yet, we are pre alpha. So whenever there’s something in you guys are calling a wellbeing or I just medicine in general, for me it’s like health medicine, whatever that whole field and there is some sort of signaling or symptom identification which this kind of falls into. I find. Well, I think that statistically there’s false negatives and false positives, right? So if I’m a caretaker and I get an alert, there’s a chance that that alert didn’t actually matter, but is there, there’s also a chance if I don’t get an alert that there wasn’t a, there should have been an alert. So how do you guys refine your algorithms to make and how do you think about the difference in those two types of errors? Like where’s your sensitivities lie? So we basically take a very cautionary approach, which means if there is any anomaly, we tried to cascade it to multiple decision trees. So we have a decision tree algorithm that goes down the decision tree where we basically manipulate the threshold to say, is this good or bad? So we have a decision tree algorithm that we use. We continue to refine it. You know, there’s obviously cases where it finds out that there’s a, you know, it really freaked out at nothing, right? Simply because a pet showed up at home, right? And so what we do is we take a more proactive cautionary approach and then our next step is to take calculated risks, right? So based on the decision tree, we are not there yet. So our next evolution of the algorithm is to take calculated risk that says, look, I’m going to take this risk as if it is not an anomaly. Here’s why. At any point the caregiver can still go and look at it to see hey, you know, yesterday, why didn’t my mom used the bathroom at all? They can say, Oh, you know what? There was a case where we knew somebody who ended up in the hospital because they were dehydrated and the only way they found out was [inaudible] they were delirious on the phone and they were talking. They were not. They were incoherent on the phone had they known that they have never used the bathroom, never drank, never had a sip of water for four days, hence never used the bathroom. It would have been productive, but then when they went to the doctor they were able to look at the feed and say, look, they never used the bathroom for this many days, so the doctor immediately was able to say, dehydration. How straightforward. So it sounds like the caretaker has a feed of just about all the things that you guys are registering. They get notifications when you guys decide like this is something you should be proactively prompted about. I’m assuming sometime in the immediate future down the line you might give the caretaker or some sort of threshold of like how sensitive they want to hear those notifications. What is the simplicity in the messaging to the caretaker? Like are you saying the barometric pressure is this and they have to figure out what that means? Are you saying like this is the flesh, this is when she got a drink of water. So again, we stick with our principle, which is take technology out of people’s hands and make it ubiquitous, but don’t make it in their face all the time. Like people stare at their phones all the time. I had. You don’t need to. So we were keeping in line with that philosophy. We will give you as much information as you want. So at the app, if you look at it, it’ll give you a fancy graphs. It’ll give you everything that you need. You don’t really need to consume any of that, right? But if you’re a geek, if you want it, we will give you everything. Full transparency, right? We’ll give you an online portal that you can look at it, you can go look at our app, you can look at everything that you want. What you do with that is you. You can choose just to say, well this is just too much stuff for me. I don’t even know why we are measuring pressure. If you look at a weather app, okay, take a look at the weather channel App. I just want to know if I want to wear a jacket or no, I don’t want 50,000 parameters. I’m not a scientist. I’m not trying to become a scientist here. So whether it is a good example, I give everyone just like, it’s just over complicated in my mind. I don’t know if you guys feel that way. I really need to know the dewpoint every morning. It’s very important. this pre alpha phase of having it in 25 different homes. What are some of the things you’ve learned either that you’ve validated? I want to hear that, but I especially want to hear what surprised you that you learned from these early users? So good. So we originally thought we needed. The first thing we learned was we needed, we thought we had to layer in multiple sensor data to arrive at conclusions. Example, we thought we needed motion light sound were the three things we thought we needed to find out if people walked into a room, what we ended up finding out already. You don’t need to over complicate it. All you need is a motion sensor. And Oh, by the way, air quality changes dramatically. So we just need to use those two and not complicated with seven other sensors. If you go to the bathroom, you can simply use humidity to show are they showering. Are they done showering right when we originally went and we said, oh, we will basically save the, turn the light on if the light sensor gets kicked in, if the motion sensor kicks in, if the humidity kicks in. We were just complicating things. So the thing we learned was it helped us simplify our algorithms by saying, look, we’re just with this one sensor two sensors, we can get even better calibration of data than we would with eight sensors. Right now we are redoing our algorithms to basically use, so we created this composite wellness measure which was pretty [inaudible] . The equation was unbelievably complicated, right? And that is prone to errors. Anything complicated is prone to errors. So that’s all part false positive is going to show up more and we’ll be, you know, I don’t have any hair to pull out of my head but. But anyway, so the thing is the whole idea, that’s one thing we learned is you can just use very basic data to conclude and tell people are they up and about yes or no. That’s one thing. The second thing that really stood out that came as a huge surprise was the biggest feature that everyone loves, not all this, all these measurements and blah blah blah is this whole idea that they could actually talk to them, use through the intercom feature. Like majority of the survey we did and the people we talked to, I would just buy just for that intercom. Wow. Is the mechanism that almost like a walkie talkie, like is there a button in the APP that you’ve hold down? and for the elder’s home, these plugged directly into an outline to an outlet. In to an outlet. Yes. And so you’d have three of those bedroom, bathroom living area. If I’m speaking into the intercom, it’s coming out of that same unit in the outlet. Yes, exactly. It comes. There’s a speaker in that and it plays from all three, all three units. And so how do I as the elder answer that, do I just speak off into space and it picks that up? Yes, exactly right. So that’s what it does. So if there is a response, and like I said, we don’t record the sounds. If there is a response there is a human [inaudible] response, which means you know, okay, somebody in the houses of responding. So there is some action. Now we can look at other things, right? You can send someone over, you can, you can do a [inaudible] , you can take a bunch of actions, but just by doing that for example, that is one feature. The second thing that came out was just. And so here’s how it came about. So they were, they were you going to use that feature to simply remind their mom, mom, take your medication. It’s time. So what did we do? We said, ah, this is where technology can help. Just go add scheduled reminders and make your grand kids record saying Nanna, take your medication. And so what did we, what we did was, okay, you know, now they are being psychologically threatened to make sure they take their medication because they’re little grandchild is saying that right? And so now you don’t even have to speak. So those things came out as surprises to us that we never anticipated when we put it out in the market. And so three features that stood out, medication reminders, intercom, tell me if they’re up and about. That’s it. One real quick question, piggybacking on something you already had already asked. Something that blows my mind about human behavior is something that we didn’t have a day ago. We can become overly dependent on the next day and then blame when it doesn’t operate exactly how we want. So to his point of false negatives, if someone’s really depending on care alert and something happens that they didn’t get a push notification for, but turned out to be one of those anomalies that was an issue, what type of liability do you guys have in that situation? It’s funny because as you were describing the product, I kept on thinking in my head about the Alexa ecosystem, which is the echo and the dots and kind of around the house. But like you said, like it’s not there yet. I mean, you really can’t even ask Alexa with capital Ethiopia is, I don’t think she knows off the top of her head. So another thing you mentioned was fall detection. So I have two grandparents who were in their nineties or. Well, one of them just passed away and then my girlfriend’s grandma’s in her nineties and all three of them have experienced falls and it is a really big issue when you fall, especially when you’re in your eighties, nineties. The other one is hydration, which we already covered. So I’m. I’d like to talk a little bit more about the idea of fall detection and prediction. In the case of care alert. And you said it doesn’t do this, but you said it also could do that. Yeah stick a fourth sensor in the garage? Yeah. So you don’t know. So, so things like that, right? We can always deduced that the car’s here, there is no motion in the house, which means something is wrong because they should have been moving about at this time or if there’s no motion in the house at some given period in time. I can sense if the car isn’t it. Now I can tell. It looks like they left the house, so that’s why there’s no motion, so don’t freak out. So this deduction like that. Yeah. Let’s say I walk into a senior’s house who has care alert right now and they’re seniors, so they still have a big encyclopedia shelf. I pull off and encyclopedia. I drop it on the ground. I’m their caretaker. What do I see on my phone? Do these seniors tend to have smartphones themselves. They do. Right? So the, at least in the people that we know them, you know, the, you know, my family Fereydoun’s family or other co founders families, they all have phones. They don’t charge it. Right. [inaudible] gives. This example I bought, I bought her a landline and I stuck with it. She never hangs it up. I love that this device is not phone specific for the seniors. I’m wondering, I, I’m sure it’s going to be a trend that they as people age, they will have phones continue to have phones. Can you triangulate with the phone also with the sensor data be like, okay that thud happened, but also like the accelerometer in the phone went off and use that data. Oh yeah, yeah, absolutely. Right. So we can use what is what we call connected sensors. So we have embedded sensors in the device and Care Alert and we can also piggy back off of connected sensors. Right? People are. So our hypothesis is sticking different, different, different sensors throughout the house is not the way to go. Right. There’s a door sensor, there is a refrigerator, open close sensor, there is a pressure mat, there’s a gate sensor. There’s too many sensors out there. Eventually maybe they’re all gets embedded in the house, but in the event that those sensors exist, that’s valuable data and we want to be able to use those ecosystem of sensors, whatever is available, maybe a phone and you know, again, you know my prediction, this is an insane. What’s going to happen is nobody’s going to have a phone in about five years. This device won’t exist the way it is right now. The form factor, right? It’s going to be in your years or it’s going to be a projected video, whatever. So yes, those connected sensors we will piggyback off of that will connect to Alexa, Google home, be home kit. We connect to all of that, right? what doesn’t care alert do well? a lot of things right. It’s still, you know, the way I describe it as it’s, it’s probably an infant right now, so it does some things really well. It’s unbiased. It kind of can do what it’s supposed to do, but there’s a lot that it probably doesn’t do because. And there are always Gotcha is when you roll it out to more homes and things it doesn’t do is if there’s too many sounds. For example, I like to take everything to India and experiment, right? It would miserably fail there simply because it’s too much of noise. There’s always a lot of ambient sound. The temperatures are more external than internal, right? Houses don’t typically have climate control, so it’s always biased based on the external. So there’s things like that that we don’t know what will happen. A recent use case that we think are struggling with not struggling, but this is something that we’re really wrestling with is hey, there’s three of my inlaws and parents and all of them. They live out somewhere in LA and they don’t have a WiFi, they don’t have internet. If they need to use Internet, they come over to my house and use it. Your device is useless because it needs Wifi to do everything. We will stick in a cellular service. It’s in the next. It’s coming in the next model. But that’s a problem. Right? So those are some of the challenges that we have that we have to think about, right? How strong of a signal strength with that WiFi I need to be. Does it need to be a strong connection to. It should be a decent whatever if it. So the way I would calibrate it as a ring doorbell can work that’s sufficient. I want to, I want to transition a little bit. You guys are obviously putting a lot of your time into developing this. So how do you guys see this, uh, this opportunity, how big is it and why have you chosen to spend your time on this in particular? So the one, it’s a very, it’s something that is, that matters to us, right? We’re all going to get old. I have aging parents, I have aging relatives, and the constant thing we hear is, you know, how do you take care of them without intruding on their privacy at all times and not bothering them all the time. At the same time knowing everything is okay and go about your life, right? So it’s kind of close to a real, as close and as real as it gets to a technology solution for a real problem other than world hunger. We already said we’re not solving that. Yeah. So we already said that. Right? So. So what I’m saying is it’s so real, at least in our minds that it’s a fantastic problem to be solved and it’s a. it’s one of the best applications of technology out there and that’s why we wanted to spend more time. And this whole market of aging is already a huge problem. When I speak to my friends and family, you know who are in Europe. I talked to some of my colleagues from Japan. This is a real problem and if you look at the current solutions out there, I’m not saying ours is our best solution, but it’s way better than what is out there today is how we look at it. Because there’s medical monitoring. Everybody has things. After everything has happened, they’ve already fallen and broken their back. Now they can’t right so and so and then they move. Their parents to all these weird places that they don’t want to live in and I want to solve. They want, they should live their last stages of their life happily in their homes where they’re comfortable. So that’s really close to my heart, simply to be very cliche. But what I’m saying, so that’s, that’s why we spend our time on this. Like for example, you know, my wife’s dad passed away, you know, and it was not, he didn’t passed away happy. He really struggled in the last few stages and it shouldn’t happen. So it’s important. And given the, where we spend my time for the next five years or eight years, this is a space that is necessary, this may not be the eventual solution, it may end up being something else, but at least it’ll get us on the path to get there. And so, you know, that’s why we spend our time on this. What’s the pricing of this? Because it’s something that’s universally as you just laid out, like universally demanded is elder care. How do you guys price something that’s universally demanded? so that model is predicated on the underlying technology being able to handle a future model four five, six years down the road. We talked a little bit about sensor technology. We haven’t really discussed how fast it’s developing a sensor technology developing like in line with Murphy’s law where it’s doubling every six months or so way slower. Right, so it’s. I haven’t done a whole lot of research on that, but basically what I can tell you is pir sensors or motion sensors have been around for years. There’s nothing new. There are night lights. We just walked past it and it turns on. Has it become significantly different? Yeah, it’s improving, right. Which means it could detect a certain cone of angle of a motion. Now it can. It can detect a wider. Now there’s other technologies you don’t need pir sensors. You can use radar, you can use Wifi to detect presence in the room. So there are other forms of sensors showing up, but the sensors that we have embedded on the device are not rapidly changing. So we, we think it has these sensors have a lifespan of at least three years before they become obsolete. You can still use an iphone six as efficiently as you would an iphone 10 for 90 percent of the normal use. Right. I really do. I really need my face to be the password. No, right. Again, you use technology so that it’s useful in that angle. If you keep that philosophy it, it’s not growing as fast. So that’s. So I buy one of these units for whether it’s a bundled price or whether it’s a one off unit and that could just be my cost if I didn’t do whatever the subscription model is. Right. I have that for until the thing dies, which I would expect is like takes a really long time. How does that play with the APP? The APP? Is that just a free pairing with that cost? The app is Free? Yeah, the APP’s free. Right. So you download the APP, we use this thing called smart config and you just put in your wifi password on a screen and it automatically pushes the password to the device, right? Yes. So the APP is free, which is downloaded from the APP store. So you guys, you’re probably storing tons and tons of data, right? So it would, it would seem to me that that might your costs might scale faster than the unit costs that you’re selling to somebody. why, why the per unit pricing versus, you know, have a subscription out of the box just for that cost alone. So for our, for entering the market, we wanted to have a low barrier and that’s, you know, again, we are priced very differently than a medical device or medical devices typically, you know, 29 or $30 a month and it’s a monitoring fee and a bunch of. So we’re trying to reduce the barriers of some people would buy it and make it easy for people to put it in, Second on year one, we want to refine the product and our algorithms to such an extent. So in a way they are helping us, right? In terms of how we manage our costs. Yes. It lead into our margins a little bit, but storage is really cheap and it’s getting cheaper and cheaper and cheaper and cheaper. We can store as much data as we want, terabytes of data without having to do as long as we can crunch data in real time, but based on our costing and our models, if we sell enough units, our margins will cover the technology infrastructure growth and needs in tandem, so, so one won’t out run the other is our model.The subscription will basically increase our gross profit margins on the other side. technically we need to store it for what we call an actionable period, which is typically the data has value in about six to 12 days. Meaning if a doctor wants to refer back to say what happened in the house at that time, did something happen. So that’s our sort of our actionable period. But we will store the data for as long as we want, especially anonymized data just so we can study and train our algorithms. What age do you think people are going to start? So your customer is the children? So what age are their parents when they start or has your research shown when they start using a care alert system? Like what are you expecting? Is it 70? Is it 80, is it 95? and even assisted living is so expensive. Assisted living is expensive for a reason. I mean you look at the market in that industry is growing like unbelievably crazy because their margins are huge. What, what is your go to market strategy look like when you take these and you say, okay it’s February, we’re going 500, a thousand, 10,000 units. Have you had discussions with insurance companies by any chance? and it’s insurance companies, that’s what they do. They’re looking at and they came up with some really interesting use cases for us. We were at Georgia tech has a smart home in Atlanta and we ended up in the same house. The anthem insurance guys and us were at the same. They started talking to us and they wanted. So we hear this a lot from palliative care nurses and all these people who are, you know, so yeah, we’ve talked to insurance companies, we’ve talked to assisted living facilities, independent living house that they want to put this in because even after moving, this is the. This is kind of how things work, right? Even after moving their parents, the assisted living facility manager told me that, look, they’ve moved their parent here so that they can be peaceful, but still they call me everyday five times checking if their mom’s okay. So I love the user centric approach you guys have taken to this because having worked in kind of the smart city space for awhile, and obviously there’s a ton of smart city activity here this week. There’s so much about sensor data and data and data and data and so many people trying to figure out, okay, what do I do with these mountains of data? How do I parse out something that’s meaningful? How do I integrate with things that actually make that usable? So I love that approach you guys are taking. I would love to talk about your team a little bit. You’ve mentioned your cofounder Fereydoun. I would love to hear more about him and your team at large. What roles do they fill and how what they’re bringing to the table. So Fereydoun is, you know, he’s playing the role of a CEO, right? And he comes from a, from a hardware background and he’s, you know, many companies in his, throughout his career sold and you know, done, done what he’s, he’s always been an entrepreneur all his life. Right. And then our other co founder is Mitch who is actually a hardware engineer and he’s worked. He’s one of those hardware gurus who knows how to put hardware together. Right. And so Fereydoun and Mitch kind of take care of the hardware side. I’m on the software side, right? I, I build a platform, build the software and then we have peyman who is actually a university of Washington professor who’s part of our founding team because he’s in this space, in the smart home space. He works a lot with large companies in the Seattle area, in this area, and he’s been, you know, it does, is basically filling the role of r and d, looking at the market, making connections, talking to his students, his phd students, a lot of his, uh, so that’s what he brings. And then we have lily who’s actually fetterman’s wife who is a crm expert who helps us the marketing, the go to market approach strategy and all of that. Again, her mom’s been the use case for us at all the time. Right. So that’s kind of our team and we have our shotgun was Dr Dotchin who’s actually a phd in sensor technology and material science. He’s our core engineer who works with us as a team member. We have three other Georgia tech graduate students who are part of our team who are doing the embedded programming and the APP development and all of that. So they found, we found a team that basically bills both hardware and the software side. So we call it the hardware platform software platform. And then we have know marketing and business and I kind of do multiple things. I, I’ve done pitches of several times in the past, so I created a pitch deck and the website, all of that. It gets me back to something you mentioned earlier being a self funded startup. You’re self funding this. Is the goal to eventually raise money or is the goal to bootstrap this thing to profitability? So we’re still funding it and the reason we sell phone is because in our experience that keeps you disciplined with what you do. So we don’t have a fancy boot. We don’t have glitzy marketing, we don’t have any of that because we technically don’t see too much value with it because it attracts the wrong kind of crowd. Right? Secondly, we’d love to get on an investor, but we are very picky with who we want to work with because personally I believe in bootstrapping more than investing a raising around, but at some point we have to simply. Because it’s a. it’s a, it’s a capital intensive business. I think your question is do we continue to be that way or what is it? Right. So, so our goal is to stay this way at least through the end of the year and if we find a strategic investor, which is an overused term, when I figured that that’s what people say when I described the kind of investor is somebody who will work with us and help us, you know, take it to the next level by bringing in value with prior expertise and not just sit on the board asking for kpis. Right. And that’s a drag on time. So we want, we are very picky about it but we will eventually be raising around and so that’s helpful. And when you raise that round, are you going to be raising it as sensors call or as care alert? I missed this somehow. Where are you guys based? So we are based out of the Atlanta Tech village in Atlanta. Yes. So talk to me about Atlanta and what has meant to you to be based in Atlanta in building this company. I’ve lived in Atlanta for since 2000. Fereydoun hasbeen there forever for almost pretty much all of his life. He, he graduated from Georgia Tech. I went to mad . Given all of that, Atlanta has been really good to us just in terms of finding specific people in terms of skills that we need, the mentors that we need, right. Unbiased an adulterated views, which typically is very different from what I’ve experienced in the bay area or silicon valley or any of their places because they look at it from a very different angle than we do, so we’ve kind of cut out a lot of noise so it’s helped in that way. Atlanta is grown is a good growing ecosystem in terms of what it’ll help us. Of course there’s not much in terms of hardware per say in Atlanta, but we have not. That has not stopped us from anything. Right. So we’ve not. It’s not impeded us in any way. And then as far as Atlanta goes, I think it’s a great place to be. Great cost of living. A lot of people moving, high diversity. We can find the skills we need and you know, we’ve got Georgia tech, we got mad, we got some good university. You’ve got to Uga. So that works for us. This has been awesome. If people want to learn more about you or care alert after the show, where would you send them to? Www.carealert.io or sensorscall.com. They can also look me up on linkedin. That’s the way to get to us. Everyone. We’re here at ces and today’s podcast is brought to you from the blue microphones podcast suite at ces 2019. You probably know blue from their best selling Yeti mic. That’s all over the Internet. In fact, Jay and I built upside on the back of the Yeti mic this week at ces Lewis, announcing the ember. It’s a new studio, xlr microphone for professional recording, youtube production, streaming and podcasting. Ninety nine bucks. Blue offers a full range of premium USB and Xlr studio mics. What’s were actually recording with today from podcasting to youtube to music. If you’re a storyteller, blue wants to help you amplify your voice. Visit bluedesigns.com to learn more. and in our deal memo we look at four questions, the majority of which are founder centric, but for today’s deal memo, I don’t want to start with the founder like we usually do an upside. I want to start with the opportunity. Jay, what did you find striking about this opportunity? Well, it’s a universal problem. I think depending on. I mean I’m sure there are some countries that are still very family centered and the parents will be taken care of by their children or live in with their children’s families. So maybe it’s not quite universal, but it’s, it’s very near to universal. So I think that really stuck out to me and you know, the, the boomers now are all hitting this this age that this product is serving. So it’s a, it’s a really good time I think to be concerned about elder care as there are a lot more elders and our culture, at least here in the west, is pushing more towards work life as opposed to family life. And I assume this is a large pain point for a lot of people. You want to hear a fascinating stat that I found? So according to the Global Age Watch index in 2013, that’s the that’s the source. It said in 2012, 809 million people or about 11 percent of the world’s population were over 60 by 2050 estimates put it at 2 billion people over 60, which represents 22 percent of the world estimated population. So the amount of people over 60 is going to double within the next, call it 30 to 40 years. That’s crazy. I didn’t. I didn’t see that. I actually started googling and I did see some statistics pointing towards year 2050 and I thought, hmm, probably shouldn’t think about the year 2050 that far ahead with this device because who knows what the technology is doing. But as a trend, the trend line, that’s pretty crazy because the number. Similarly I looked at age 65 and up because that was that I was able to find and of the 7.7 billion global population, about 670 million is above age 65 right now is what I found. And 42 million of that and some change is the age above 65 in the United States. Right. So let’s just take the kind of average number ther because Anand said that they wanted this product to be for people starting in their mid sixties, which is when health problems really start. So let’s say that currently there’s 700 million people in the world that are above 60 and let’s assume that the price point is flat at $100. That gives us a $70,000,000,000 figure in terms of if this was ubiquitous, obviously there’s a lot of discrepancy there because a lot of the people over 60 are in lower income countries. So we could probably chop that in half. And still I think the. The outcome is that it’s a big number. Yeah. And he, he said the price point was $149 per unit currently. Right? Right. But if you’re buying five and get down to 99, I was taking into consideration maybe there’ll be some discounts, promotions, things that get the average unit price down to about 100 assumption on my part. Just to make the math easy, I think when the mass gets so big, the total addressable market number becomes kind of more of an idea that it’s big and less of a number that actually matters. Yeah. Headline being it’s a big number, which leads me to one of my major points I wanted to. I wanted to share and that’s one of the biggest questions I had for this interview, which is the go to market strategy, huge market. I get that. I didn’t get a clear, clear sense of the go to market strategy. I mean you said Omni channel, they’re going to go direct to consumer. They’re gonna use facebook ads. They’ll have a referral program. I think that’ll make sense. Those are all things to explore certainly, but I still didn’t feel like I had a strong sense that that strategy was really dialed in and they had had the people or the experience to really do that really, really well, but he did mention someone on his team that’s in marketing. Maybe they are a ringer in that department. I would have loved to hear some more, you know, here’s why we’re going to be able to go to market very strongly. Like what specifically would you have if they would’ve said something like blank, you would have been more comfortable. Well, even saying, I mean saying direct to consumer or facebook ads, anybody can say that I would have liked to have heard more about, okay, well Lilly, Fereydoun’s wife, I think he did talk to her background a little bit and maybe you know, she’s sitting there and she’s saying, I’ve got this perfect strategy laid out and I know exactly how I’m going to target what audience in what place, what type of message I’m going to put in front of them. I know how to do ab testing on creative from headlines to descriptions to images. I’ve done it before. You know, it’s more and more expensive to do digital strategy. That’s what we came away from the Summersalt interview hearing so many times from Karen and from Lori. While it’s still a very, very effective way to target people. It’s getting more and more expensive because it’s just there are more people in the game. It’s easier for those people, so I don’t know, I just, I just didn’t get like a lot of confidence from his answer or whether I’m reading into it too much or not. So I would agree that it felt a little nebulous. That being said, I think facebook kind of clue in is pretty key here because I think facebook’s fastest growing demographic is over 55 years old, so it’s kind of that sandwich generation right now for people who have parents but they also have children and facebook is kind of like the growing hub of that. Do you think that the, the user of this, not the customer, I assume the customer, a lot of times it’s going to be the caretaker. Do you think the user of this is going to opt in? And I asked because watching my grandmother’s go into assisted living, they did not want to go into assisted living, but on the other hand with care alert here, this seems like something that they can use as sort of their own method of convincing their caretaker that let them continue living in their own home. So this kind of plays into my question on the go to market strategy, which is partnerships. I think that this product is rife for partnerships because the first time that anyone really questioned someone living independently, actually there’s probably two times one when their spouse dies. So the idea that there could be a partnership with maybe funeral homes when you have a spouse die and say, hey, your mom just passed away, your dad just passed away. The other one is living by themselves. Here’s a really cheap product that can help extend their life living independently two the other time is when they fall for the first time or they go to the hospital for the first time or something happens at home that they have to go and do some sort of Rehab. They break an arm, they whatever, and that in that context you would have that discussion, right, so children, siblings have to have a really tough discussion about what to do with their parents when they go to the hospital for the first time. They go to rehab for the first time. They go back and they live independently. They outfit the House with all these Ada compliant things, do they put them in assisted living? How’s the money? I’ll work out all of this. If there was an option that could give more comfort to the idea of going back and living independently, that might be another place. So the two areas of partnership that I could see our funeral homes, targeted funeral home partnerships and assisted living or probably rehab would be the more specific side of the assisted living space. Elderly Rehab. Yeah. I was thinking about this from an incentive alignment perspective. I don’t think that assisted living facilities will be easy partners in this because you’re directly competing with their customers essentially, so I would potentially see it within doctor’s offices too. I agree with Rehab. I agree with funeral homes. I could also see it at doctor’s offices, especially if Care Alert starts working with insurance companies as customers, which I think also is kind of a no brainer given that there is a bent towards preventative care as opposed to reactive care. I think that’s the harder sell though. I think when you’re. How old is your dad? Could you imagine going to your dad right now and saying, hey, we need to put this around your house so I can monitor you? No, but also if he was living alone, if my mom wasn’t there for some reason, I think he might be open to it, but also that’s because he’s seen his brothers and his mom go through this, so I don’t know. It would definitely be a tough conversation. That makes some sense. Now. Now I understand what you’re saying about preventative as it relates to insurance and that being a hard sell to the end user. What did you think about the revenue model here? Pure hardware is tough. I think that it’s the exact same model as the Amazon Echo where they sell hardware and they hope that everyone gets on it. The difference is that the Amazon Echo has an ecosystem behind it. I don’t know that there’s going to be an ecosystem behind care alert. I don’t think there is either. I do like that it is just hardware because for the users of this product, I think that’s an easy. I just think it’s a good integration into the home in this form. I really liked Anand’s perspective on we want this to fade away into the home. We want this to be extremely noninvasive and just work like that a lot. Yeah, it kind of fits their theme. It’s from an engineering perspective, noninvasive, from a lifestyle perspective, noninvasive and from a financial perspective, noninvasive. You don’t see it. I’ve every month on your bank account statement. I just think they’re leaving something on the table. First of all, from the cost perspective, not only are they developing and selling and then maintaining hardware. I mean I guess they’re probably not maintaining it. They’re probably asking them to go buy another unit, but they’re developing and selling hardware. They’re also developing a mobile APP that they have to keep up to date to work with every smartphone update that comes out and if they’re keeping track of all of these data points, which again, he said that the usability window is something like, I think you said six days or 12 days or something. They could delete historical data, but they’re not going to in the immediate term because it’s gonna make their algorithms smarter. So their storage costs, yes, storage is pretty cheap, but that storage cost will scale just proportionately with the unit sales. So to me, I don’t know why somebody wouldn’t pay a subscription amount for the mobile APP. I don’t know. I think they’re leaving something on the table and I think he, you know, he said they wanted to keep the bar really low to get into homes, but I still think that there is more opportunity there. I guess one thing we didn’t ask about directly is their margins and because that’s going to inform this answer. So I did a quick search. If you go on Alibaba, you can find a infrared prior electric motion sensor module for ninety three cents. So if they have eight sensors and say that they have the best version in what I can find is like $5 each. Then they have the best version that’s $40 of like hardware costs plus the shell they build call that another 20 bucks, like worst case scenario. They’re at a $60 per unit cost and I would guess it’s lower than that, so maybe because the tech isn’t evolving so quickly and isn’t changing so much, which is a question I asked Anand and the costs are so low, they can have a really healthy margin to build out all of that. Yup, Yup. Could be. Okay. I want to transition here a little bit and talk about the team here. Biff behind Care Alert obviously we spoke with Anand. I really liked his background given that he has 18 years of experience at IBM. He’s been a serial founder before, so as Fereydoun, they’ve bootstrapped this company to this point which I think is a fortunate position to be in and I really liked that about this team is that they, they have that ability to enjoy that fortunate position because of past success and because they’re a veteran team. fair. I’m just curious because this is the first time we’ve had a founder on who had previous investment experience as well as founding experience. I mean, I think it’s a net benefit for sure. What I look for a founder and say I would prefer my founder to event be formerly a venture capitalist or formerly a practitioner in the industry that he’s creating this company around. I would probably say the latter now Anand is somewhere in the middle of that, which I think is great. Yeah, I completely agree. I guess my take on Anand is that he seems to have a ton of experience. He seems to really care about this idea. He seems to be willing to put some skin in the game, put his money where his mouth is. They didn’t go out and just raise a third party seed. They put their own money behind it. They put their own reputation behind it. In general, I’m just. I’m a big fan. Yeah. It doesn’t seem like he has a lack of businesses or projects to focus on, so the fact that he’s choosing to spend time on care alert I think is a good sign. To me, I liked that it came from a need that Fereydoun and his wife Lily felt firsthand and I liked that they came at it from the standpoint of we have the sensor technology. We’re not going to work on it until we have a use case than they actually found a use case and how they’re solving for it as opposed to trying to work totally backwards. and probably worth noting if this goes well, even if it doesn’t go well, they do still have a portfolio of other use cases that on and kept sort of alluding to with the sensors. And that’s why Care alert is a brand under sensors call is because sensors call is meant to house different use cases using sensors. So Eric, to wrap this up, what are you looking for six to 18 months from now? From care alert. So they have currently in market 25 devices and my biggest shadow is this idea that like is there anything that it does better than a camera monitoring system because the average consumer is going to think, okay, I want to monitor my parents and the hurdle that care alert is going to have to get over his immediate connection between a camera monitoring system and monitoring your parents and kind of training them that this is a better way to do it. So I’d love to hear feedback as they roll out 50 and 100 and 500, a thousand, like an onset on initial customer buying experience and what that’s like. Are they educating people to say hey, this is a better minimally invasive way to monitor. I think the idea makes a lot of sense once it gets explained to you, but my intuition about monitoring is that there has to be a camera and I think that most consumers will think the same way. You love. You love the. What are you looking for in six to 18 months Revenue? Yeah, I mean they, they, they’re launching, they’re actually launching in February, they have sort of this Beta or Alpha program right now or they have the 25 units out, but he said that they’re launching publicly in February, so I agree with you in that. I want to see what the response is that I’m looking in terms of revenue and what they’re learning about their customer. You know, I think I was maybe a little, a little too critical on the marketing aspect, but in six to 18 months they should also really learn what’s working well for them from a marketing perspective and I’m really interested to hear that as well. Awesome. So Jay, if people want to interact with this episode, where can they do that? 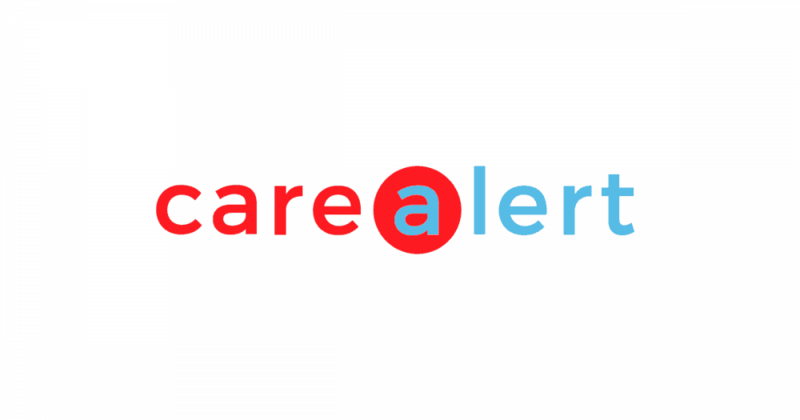 If you guys have thoughts on Care Alert, please tweet at us @upside.fm Or you can email us. Hello@upside.FM and if you enjoyed this episode, please go to itunes and leave a review. It really helps us in bringing on high quality guests for the show. We’ll talk to you next week. That’s all for this week. Thanks for listening. We’d love to hear your thoughts on today’s guest, so shoot us an email at Hello@upside.FM, or find us on twitter @upside.f. We’ll be back here next week at the same time talking to another founder and our quest to find upside outside of Silicon Valley. If you or someone you know would make a good guest for our show, please email us or find us on twitter and let us know and if you love our show, please leave us a review on itunes. That goes a long way in helping us spread the word and continued to help bring high quality guests to the show. 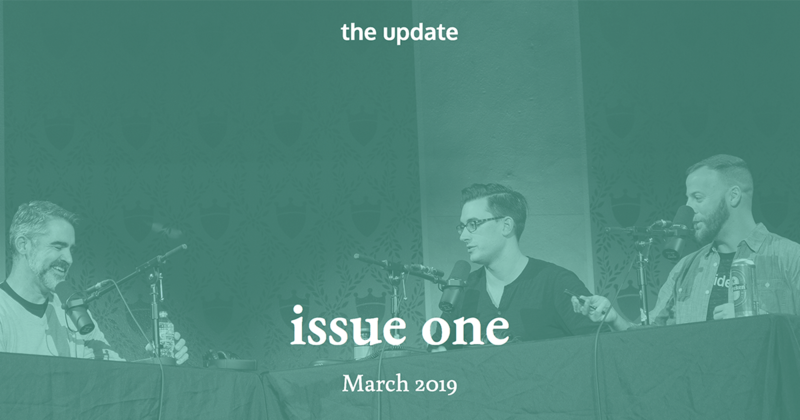 Eric and I decided there were a couple of things we wanted to share with you at the end of the podcast and so here we go. Eric Hornung and Jay Clouse are the founding partners of the upside podcast. At the time of this recording, we do not own equity or other financial interest in the companies which appear on this show. All opinions expressed by podcast participants are solely their own opinions and do not reflect the opinions of Duff and Phelps Llc and Its affiliates Unreal collective llc and its affiliates, or any entity which employ us. This podcast is for informational purposes only and should not be relied upon as a basis for investment decisions. We have not considered your specific financial situation nor provided any investment advice on this show. Thanks for listening and we’ll talk to you next week. Anand Krishnan is the co-founder and head of platform engineering for CareAlert. 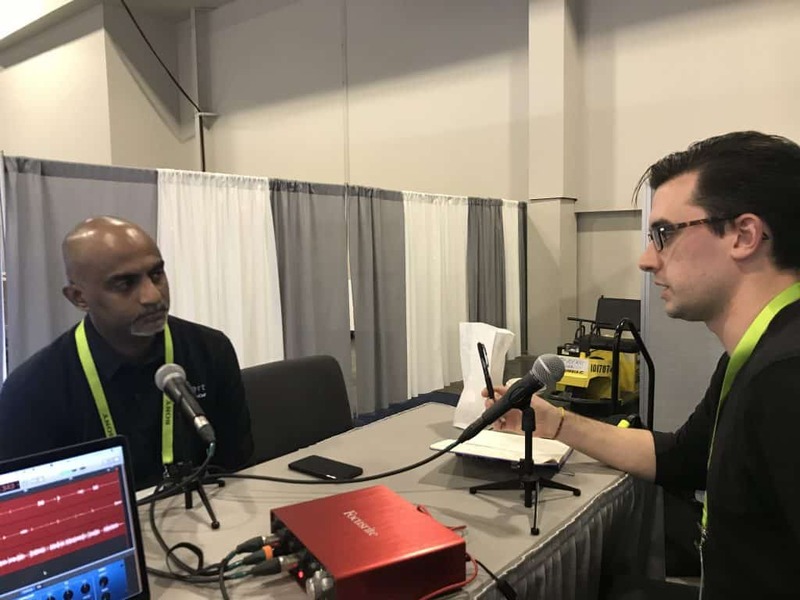 Anand is an entrepreneur and technologist with over 20 years of experience building and leading high-performing technology teams in North America, Europe, and Asia. He has founded a technology services company, a renewable energy company and a AI talent platform company. Anand holds a bachelor’s degree in engineering from Bangalore University and an MBA from Emory University’s Goizueta Business School. CareAlert is a device that looks after the wellbeing of seniors living independently. It allows caregivers to contact seniors via voice using an app, and is independent of any cell phone or landline. CareAlert contains no camera to maintain the dignity and privacy of seniors. Installation is as simple as plugging them into an outlet. Founded in 2016, CareAlert is based in Atlanta, Georgia.